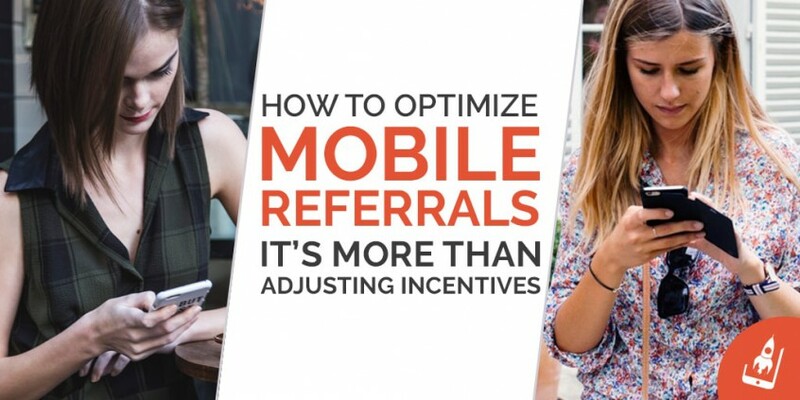 Home How To Optimize Mobile Referrals – It’s More Than Adjusting Incentives! In my opinion, Referral Marketing mimics a Bob Marley song. Just like his work, this Marketing tactic has been enjoyed from one generation to another, packaged and repackaged with changing times- altered and even re-mixed to build reach and to suit platforms. Even with constant changes, there’s more that Marketers need to plow in to reap the real value of referrals. Users today are far evolved than their counterparts.With a change in platforms and an ever transforming mindset, customer preferences and the way they engage with mobile referrals are the bits that require spotlight; and merely shuffling the incentive strategy, won’t cut the chase anymore. How your app users perceive a referral campaign, and how likely they are going to engage and refer your app is hard to determine. While trying to seek more referrals via a balanced approach, optimization wins the race hand’s down. Optimized referral campaigns provide all the three essentials for a behavior to occur- in this scenario, defining the aha moment for the user! In this article, we’ve listed 7 ways to optimize mobile referrals, and make it an experience worth sharing by your users! People rarely forget their first experiences, more so if they were delightful. As end users, we’ve seen umpteen examples of it in our everyday life, and this aspect of human behavior has been proven time and again. 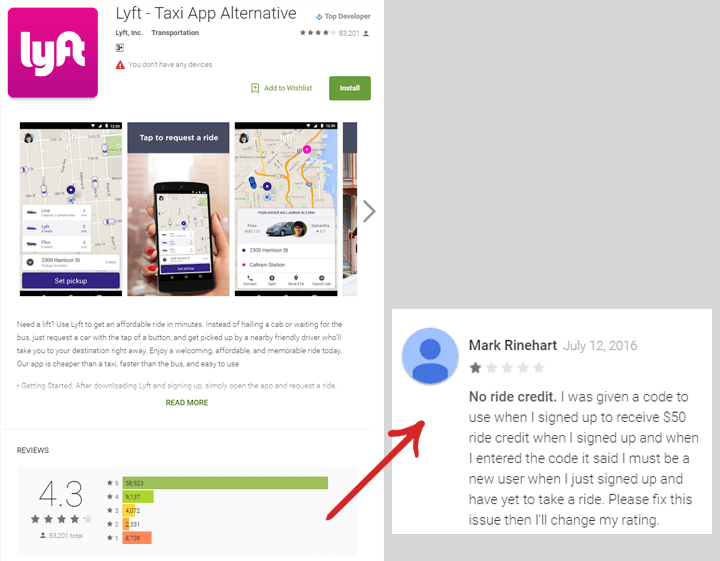 While referring an app, Friend A shares a referral link/code with Friend B and in turn Friend B installs the mobile app. Expecting a user to install an app and at the same time expect them to participate in referrals åis a tough ask. 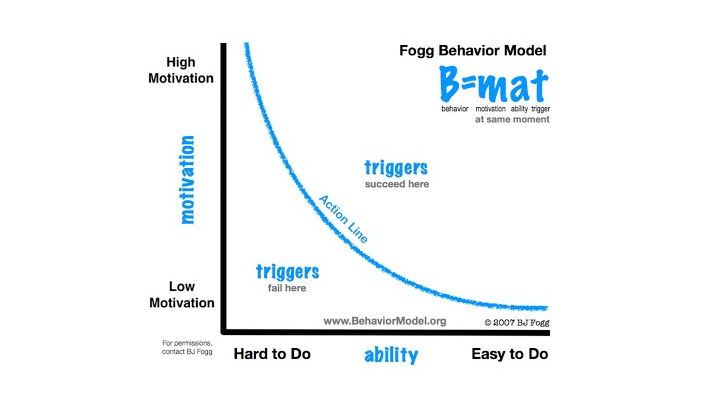 However by optimizing the onboarding flow, much can be achieved. 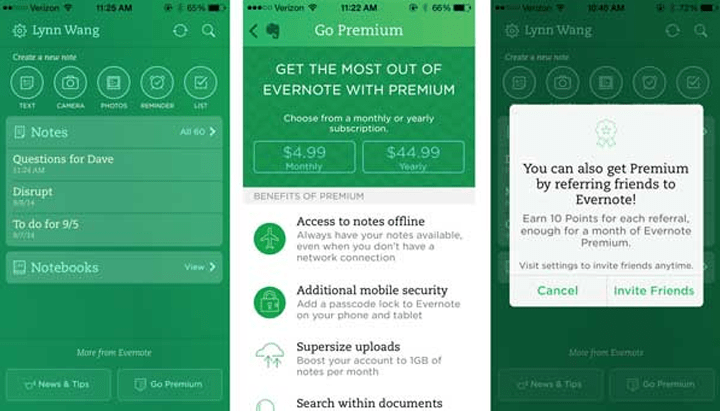 A good example of infusing this strategy is by ensuring a ‘benefits oriented onboarding’ as followed by Evernote Food and is discussed at length here. 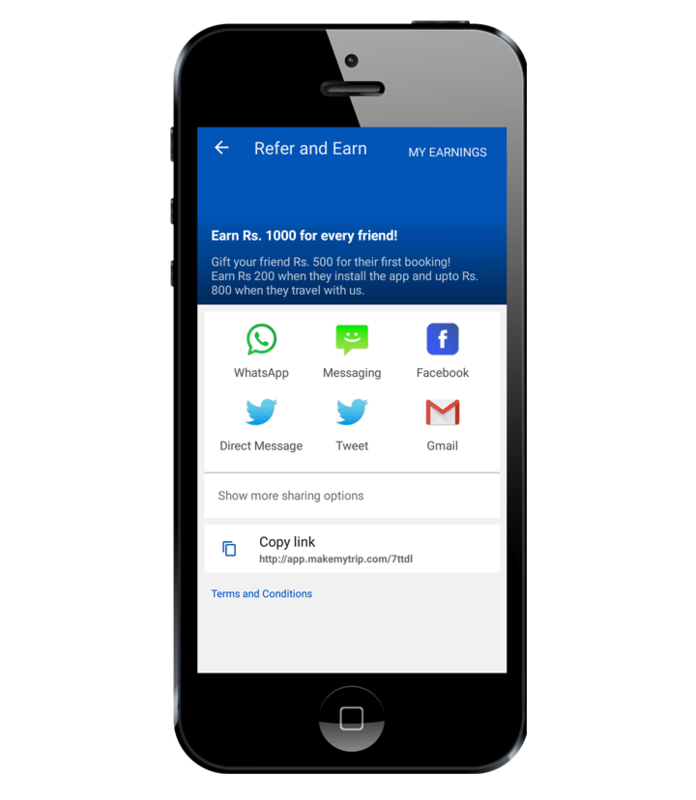 For brands with an ongoing referral program, an additional onboarding screen that highlights referrals and its benefits will create eagerness and ensure further participation- sometimes even before the user has savored the app benefits entirely. Marketers need to understand the viral loop associated with referrals. Users who have been acquired via referrals are more likely to share the app with others like them, and that’s where personalized onboarding can be the trump card. In my opinion, providing a seamless user flow is the most crucial step to initiate an action by the user. A user may get attracted to the app due its brilliant presentation and UI, however the chances are that it may not be true for your referrals. While user participation in a referral campaign is dependent on various factors, it is significant that it is optimized enough to be able to lure your users to invite more friends. To ensure a systemized referral flow, Marketers need to make sure that the below mentioned parameters are taken care. 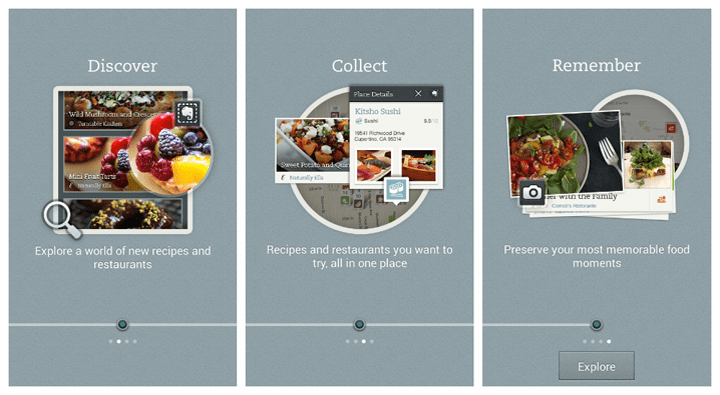 >Offer a customized experience via personal links or codes. >Make provision for users to comprehend referral reward history. In a time when the attention span of most app users is in nanoseconds, it is important for Marketers to ensure that the actions expectant of a user are worth their time, just in the case of mobile referrals. This, in a nutshell means, providing them with swift sharing options across multiple platforms. Most noteworthy apps provide one or more social platforms to the user in order to simplify referral on the fly. Evaluating social channels that bring in the maximum traffic can also help Marketers in identifying and optimizing their referral campaigns. For example, a travel app that uses AppVirality realized that Whatsapp was the social channel of choice for its users while referring others and hence placed it at the top of the user display screen. Word of mouth around your app cannot be built in a day. While integrating the mobile app with In-app referrals is an excellent way to seek ROI, the real value can be achieved by making it a value proposition. We’ve discussed how the rule of reciprocity and other such psychological theories at length in our previous articles. By providing users with optimum scenarios such as the ones mentioned above, Marketers can win many hearts-ultimately resulting in frequent user participation. A typical Marketing mindset makes us believe that app users agree to refer for the sake of mere incentives. Even though a few studies claim to back such arguments, it cannot be denied that referrals are deep rooted in customer loyalty. A user who decides to refer a friend or family member does so basis trust. However, given that incentives play a role in influencing the next step, it is ideal that Marketers optimize this crucial step as well. Type of referrals, its amount and which combination worked the best are key insights for Marketers and speak volumes about the mindset of users. Optimizing them in line with user expectation, without compromising on profits is a unique way of bringing in more users. Regular feedback from your users is the best foot forward in attaining a fruitful relationship. App Marketers who value customer feedback, keep close eyes on platforms such as App store reviews, social media accounts and forums to be in constant touch with what’s been spoken about their app and campaigns. Support is crucial in turning the way users look at your referral campaign. 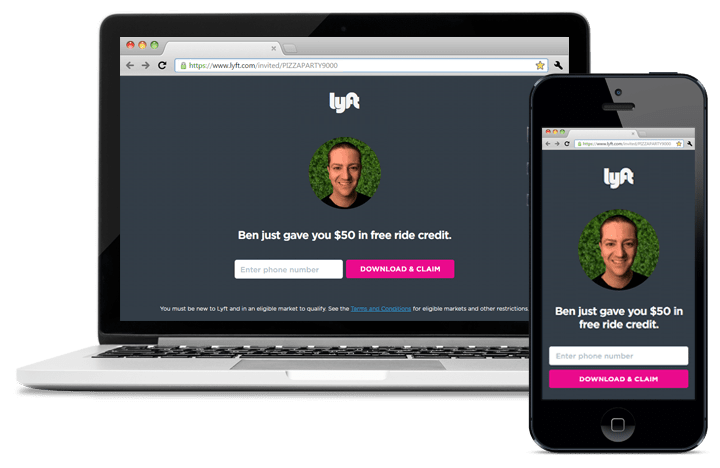 It is often seen that users do not get the desired referral incentives credits in their wallets or their coupon codes do not seem to work. This usually creates a mayhem and also deters others from participation. Quick query resolution can help support staff in closing tickets efficiently and thereby maintaining the general well-being of your referral campaigns. Yet another way of seeking feedback is by running NPS campaigns. This tactic involves asking two simple questions and has been discussed at length here. A good user is always eager to refer more users to your app. In my opinion, multiple pop-ups and push notification don’t do the trick. For example, I may get a push notification to refer friends when I’m running for a business meeting and completely forget to take action, even if I wished too! For some, it may bring out the fangs! This list is in no way an exhaustive or prim guide, and I bet there are numerous other ways to infuse optimization into referrals. What’s your take here? I would love to know the strategies that you followed to make your referrals work for your users.